Paul Wilkinson maintains his residence and business operations “Automation and Entertainment” on a large property in the Los Gatos hills. He acquired and ran a custom built Cogeneration system by Western Machinery Electric (WME) which operated for 12 years and came to WME to assist with the next solution to replace the system that tragically burnt up in a fire. After much evaluation the Yanmar CHP was selected as the most robust and life cycle proficient energy solution. This site with business operations in a separate building and sophisticated entertainment and computer systems requires the best reliability and isolation of power sources. The site also desires the best energy technologies and the ability to control and orchestrate those technologies operating for the best efficiency and or mission critical task. Another achievement is the same selection and orchestration for energy efficient heat inputs through a custom manifold array. For the electrical site two DC buss loops with battery capacity clamped on are implemented. One loop is the business and mission critical loads the other is a common grid for house and not critical loads. The mission critical loads are all isolated with isolation transformer from other loads. The house electronic loads are also isolated similarly to protect from the sensitive electrical components from unwanted harmonics. The Cogeneration system, solar and hydro all input DC power to the grid and the system is inverted to the isolated AC distribution. Batteries are utilized that can provide back up and high demand capacity. The system controls orchestrate the best technology for the load situation and charges the battery system as required. The utility now merely relegated the back up only provides minimal power if at all. The electrical power is generated from efficient green sources and prioritized achieving best of class technology and energy optimization for a similar site on the planet. The mechanical side uses hot water from solar, CHP and traditional boiler sources. Hot water is stored and distributed as well as generated in peak and low demand periods prioritized by the controls to optimize the system. 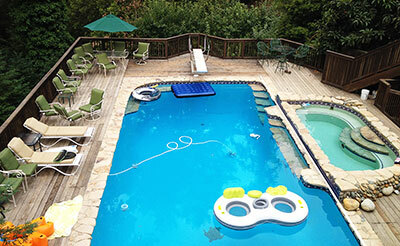 The therms flow to the domestic hot water used for radiant heating, showering, hot water uses as well as the pool and hot tub. This system creates energy independence and the best of all worlds energy stewardship and savings a true win-win for the environment and the owner. The site has the ability to integrate new technologies as they develop such an electric vehicle as an input to add capacity to the DC grid or to take advantage of clean energy generation on site for charging. This is the future on display! WME performed infrastructure upgrades to bring this building constructed in the early 1970’s up to modern electrical distribution standards and helped lower the buildings energy use with energy measures implemented. The building had existing distribution that wasn’t properly coordinated or grounded creating nuisance trips with carbon flashes evident throughout the buildings electrical rooms. WME started with a site consult with the local building department for electrical room issues followed by designing, engineering, developing plans and acquiring PGE and SF building department permits to start the project. The work required removing the existing 2500A gear in the electrical room and rewiring the 208 volt panels and 480 volt main gear sections in separate phases to a properly sized temporary distribution center all while keeping the building operational. 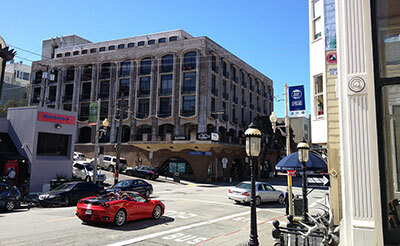 This was achieved during afterhours shutdowns to minimize the impact to the tenants in this 6 floor office center that has a 10 story underground parking garage, bank, restaurant, shoe store and retail besides the predominantly medical and business offices in this building located in an upscale area of San Francisco. New Siemens 2500A gear was installed and a new ground fault breaker was installed at the PGE incoming section along with specially modified bus box connections to achieve the change. A coordination study was completed and the building breakers where adjusted as detailed. A new grounding array was installed and tested in the garage area along with the ground fault operation. New panels where installed through the building along with adding proper grounding and neutrals that had been lacking. New transformers where installed. The 50HP garage exhaust fan was upgraded to a VFD and tied for varying speeds based on a new CO monitoring system installed throughout the 10 story garage. The building is continually completing pro-active energy efficiency measures such as piping insulation, lighting controls, Cogeneration, Solar and battery storage for demand reduction. What started as a dated dysfunctional electrical and energy infrastructure has transformed into a cutting edge facility that will to create a thriving business and environment win, win for tenants and owners. Sutro Tower is the essential communication facility in San Francisco hosting transmission facilities for the Bay Area’s most significant television, radio and public safety organizations. Standby power is a critical need. One of the 7 on site generators required replacement. A new Generac 1.25mW system was selected as a Western Machinery Electric option for modified response to a 3rd party engineered project (specified for 1mW) specification. 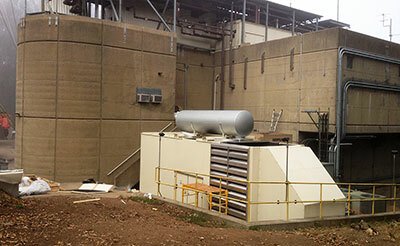 This allowed maximum power density within the available space allowing for future customer emergency power by including the capacity in the new electrical gear to provide for potential future expansion with the larger Generator.